Work is set to begin on the refurbishment of Anstice Memorial Hall in Madeley later this month. The work will be carried out by Shropshire building contractors company Paveaways Limited after it was awarded the refurbishment contract by Madeley Town Council. The project will bring the building back into full use and accessible to the whole community. The Town Council has £618,109 funding secured or covered by reserves for this project, but needed to find a further £586,680. Prudent financial budgeting means Madeley Town Council is able to take out a Public Works loan without any need to increase the Town Council precept. The renovation of the original vaulted ballroom on the upper floor will provide a great affordable venue for local events, especially with the new lift providing access for all. The ground floor requires more extensive work, but will retain original detail, such as the Maws tiled floor and wooden stairs. It will bring the library back to its original home with a First Point (helpdesk) reception on the ground floor, fully adaptable multi use space and toilets/cloak room linked to a café. It will create a great interactive environmentally friendly zone where staff and volunteers can engage with the local community and visitors. Following a competitive tender process, the Town Council awarded the contract to Paveaways Ltd, a private building contractor based in Oswestry. They have worked on over £41 million of refurbishment projects since 2012, including over £4 million for Telford & Wrekin Council, such as improvements to Brookside Community Centre and redevelopment of Hadley Centre. Councillor Carrie MacKenzie, Madeley Town Council’s Vice Chair said: “These are exciting times and the work on Anstice will build upon the previous improvements carried out over the past few years in Madeley centre. “We would like to thank all the organisations that are offering funding support, including Telford & Wrekin Council, Veolia and Power to Change. Lyndy Boden, chair of ACT, said: “Myself and the trustees of Anstice Community Trust are extremely happy and relieved that everything is finally happening. it’s been a tough couple of years of constant fund raising and applying for funding, but it’s now all coming together. 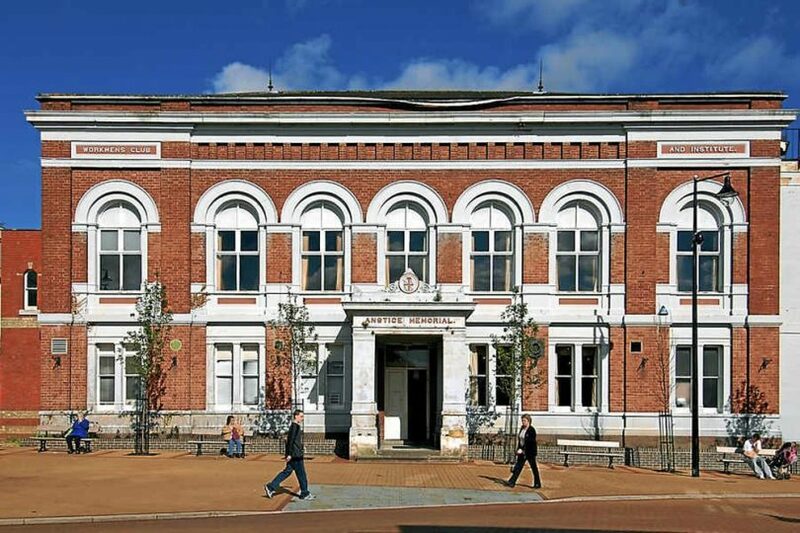 Councillor Rae Evans, Telford & Wrekin Council’s cabinet member for People Services, Visitor Economy and Partnerships, said: “We know how important the successful restoration of this iconic building is to the community in Madeley – the Anstice Memorial Hall is a key part of Madeley’s DNA. The tendering of the contract and appointment of Paveaways with whom we have worked on other projects is an important milestone. biT is now looking forward to the construction phase continuing to work in partnership with the Town Council, ACT and local community. Work starts on 25 February and will last six months.